From holistic spa resorts to quaint bed and breakfasts. (SPOT.ph) You don’t need to wait for the next long weekend to book a vacation. 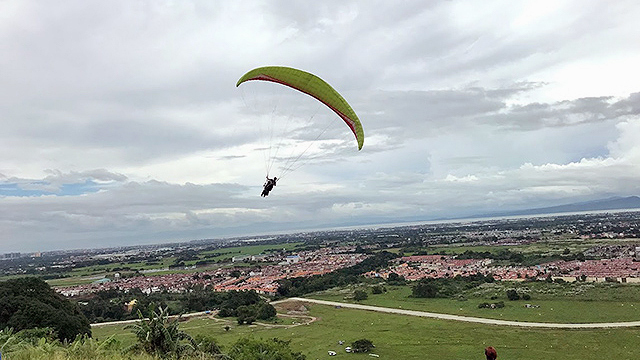 Tagaytay in Cavite is still a worthwhile destination when you’re in need of a quick getaway from the busy city. Even if it’s just a couple of hours’ drive away, it offers plenty of scenic and natural charm you just won’t get in the Metro. Here are some of the best places to stay at and experience this weekend favorite in a whole new way. 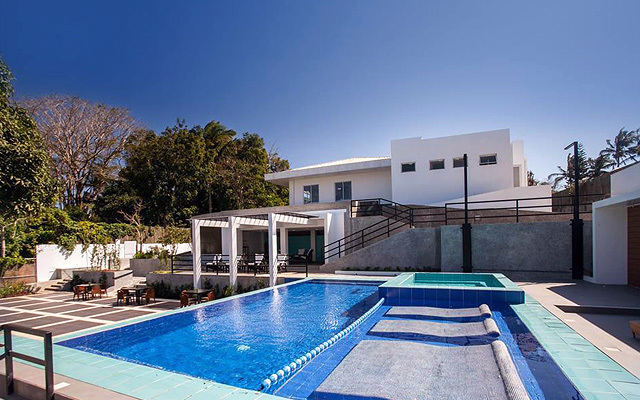 If you’re into design and aesthetics, Domicillo Design Hotel just might be the best place for a weekend getaway. 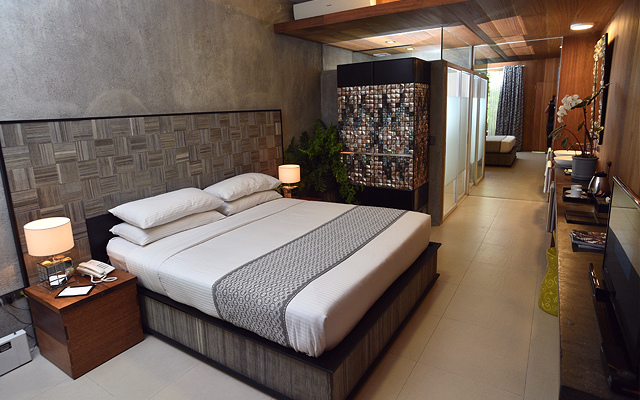 Conceptualized and furnished by Filipino designers and style gurus, the hotel looks modern but with natural elements that help make it look and feel relaxing. 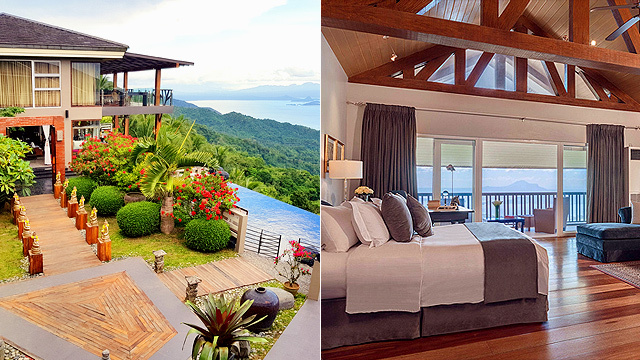 It’s not just the hotel that’s Instagram-worthy, it also boasts a beautiful view of Taal Volcano. Plus, it houses Tagaytay's prettiest Starbucks branch. You don’t need to travel far or book a long trip to feel rejuvenated. 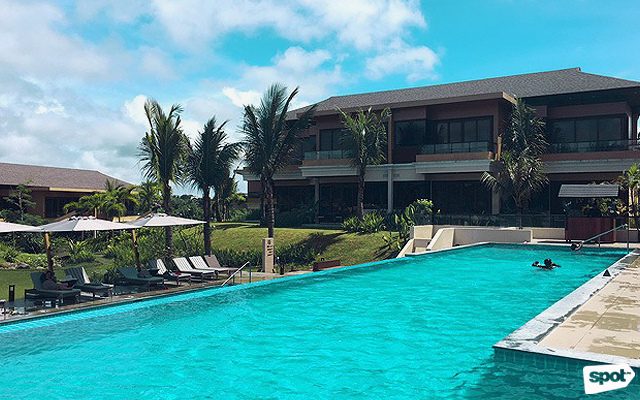 Anya Resort offers a luxurious experience for all its guests with amenities like your own lifestyle assistant and an in-house spa. When you’re done getting pampered, you can unwind with a good book from their Borderless Library and lounge by the pool to relax. 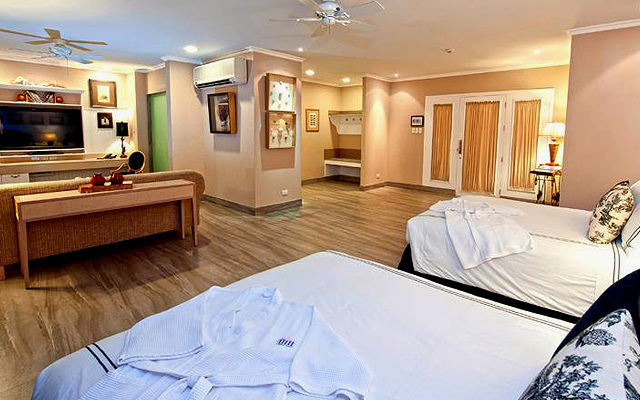 Feel pampered from head to toe when you stay at T House Tagaytay. Their spa offers full-body massages, body scrubs, facials, and hand and foot care. Afterwards, you can take a dip at the saltwater pool for a relaxing experience. 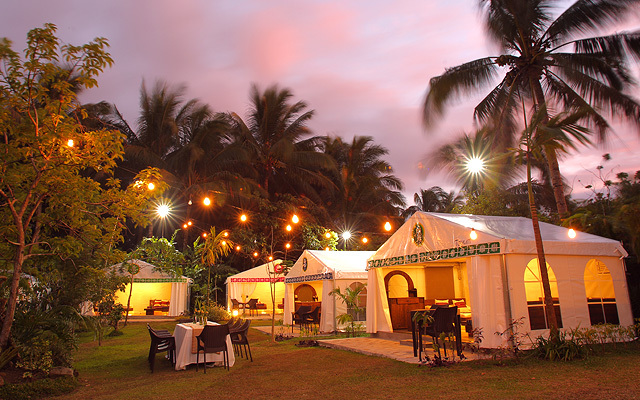 They also have function rooms for those who want to celebrate special occasions away from the city. 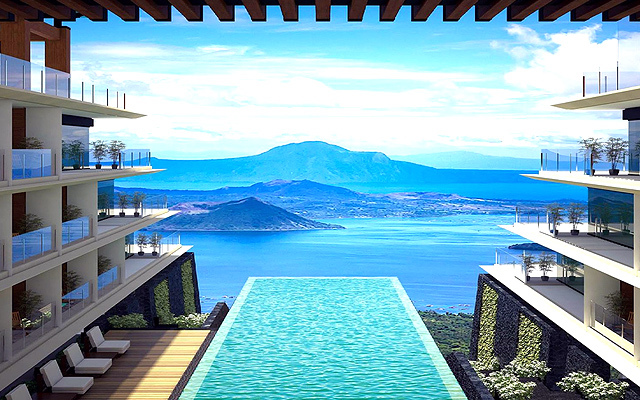 The view of Taal Lake is reason enough for a quick getaway to this city, but when you stay at Escala Tagaytay, you’ll be able to enjoy the sights while taking a refreshing dip in their infinity pool. Check out the in-house restaurant where you can sample delicious Filipino food like pork belly bagnet, and of course, a serving of hot bulalo. Looking for a rustic and serene getaway? 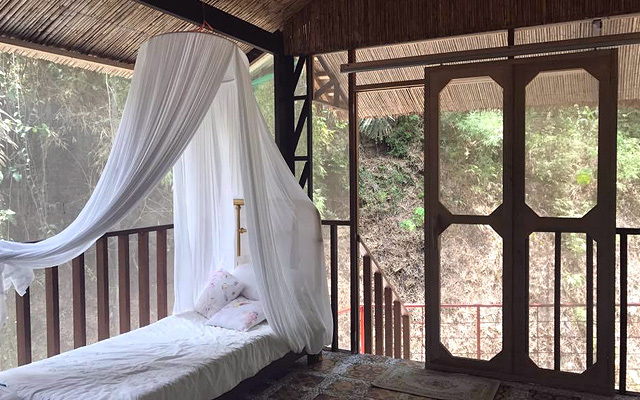 Book a night or two in one of Sonya’s Garden cottages, which technically isn’t part of Tagaytay but close enough. The property offers plenty of things to do, including pampering yourself at the spa or hanging out at the beautiful garden. Want to shop for pasalubong? Their souvenir and pastry shop is famous for the addictive cheese hopia. True to its name, The Oriental Luxury Suites has Thai-inspired interiors that make guests feel as if they’re somewhere else in Asia. 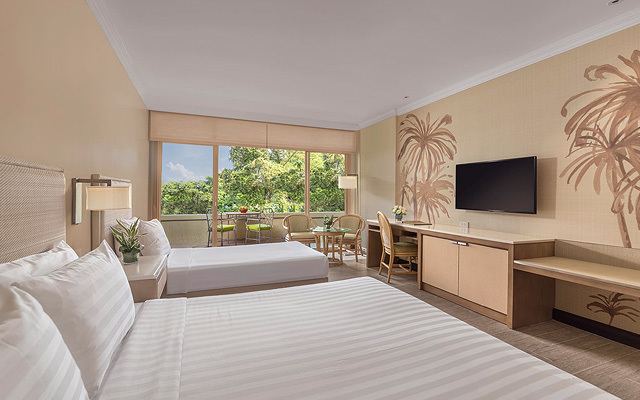 Rooms are named after famous places in Thailand: The cosmopolitan city Ayutthaya, the temple complex Phanom Rung, the provincial town Kanchanaburi, the virgin jungle Khao Sok, and so on. Guests even have their own butler who can take care of scheduling your spa appointment or even bring you breakfast in bed so you don't have to worry about anything during your stay. Taal Vista Hotel was formerly known as the Taal Vista Lodge, which was built by the affluent Zamora family in 1939. It was reconstructed in 2002, catering to whole families or solo travelers who just love going to breathtaking Tagaytay. It's near the city's major attractions like Sky Ranch and famous restaurants like Bag of Beans and Leslie's. 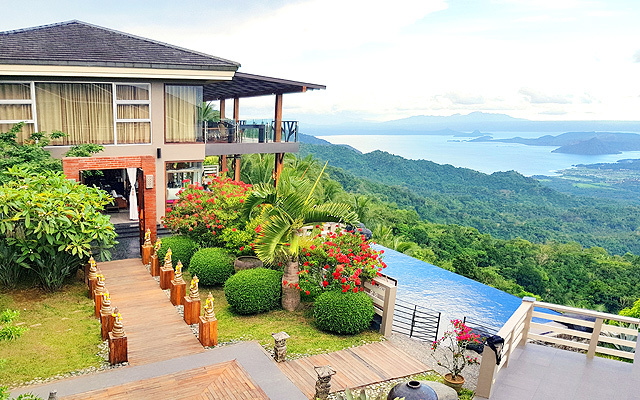 You can also choose from the hotel's three restaurants: Veranda, which serves traditional Filipino dishes; Taza Fresh Table, which offers garden-fresh cooked meals; and the grand Lobby Lounge, which has a beautiful view of Taal. 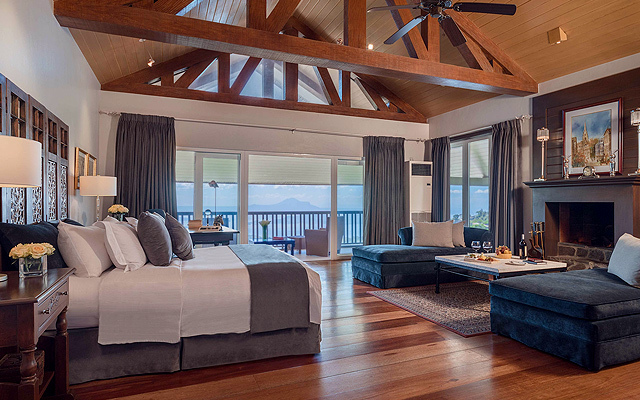 The Inn promises a quiet stay in its exclusive location within the Cliffhouse Tagaytay complex. Its four suites are inspired by lighthouses and nautical designs, adding a touch of elegance to this private accommodation. The panoramic view from the room's balcony is reason enough to stay the night. The verdant landscape and natural setting offered by Nurture Wellness Village will surely make you forget all the stress. Guests can choose from a variety of spa options, including a traditional Filipino hilot, a tribal foot massage, and an Asian therapy. There are also holistic health packages, detox sessions, and weight loss programs. This hotel’s cozy, country aesthetic will make you feel like it's your home away from home. Their in-house restaurant, Restaurant Verbena, offers contemporary country cuisine that matches the hotel's rustic feel. Feel like you’re really in vacation mode by taking a dip in their hot tub to keep warm during chilly nights.